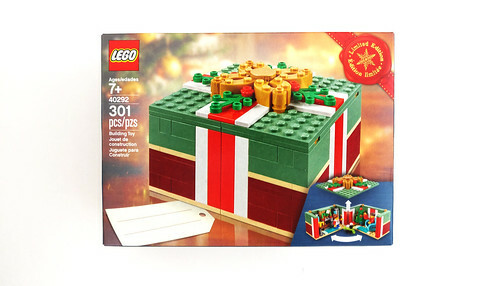 The LEGO Black Friday 2018 promotions have been revealed and one of those promotions is the LEGO Seasonal Christmas Gift Box (40292). 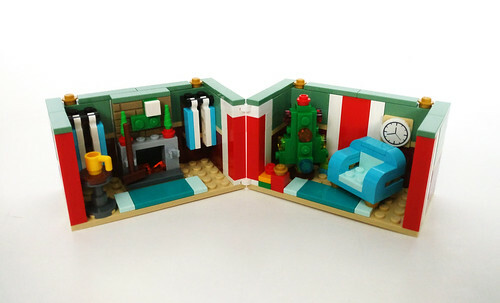 The set has 301 pieces and you can get it for free with purchases of $99 or more, while supplies last, from November 23-26 at LEGO Brand Stores and on [email protected]. If you’re a VIP member, you also get early access to these promotions this weekend (November 17-18). 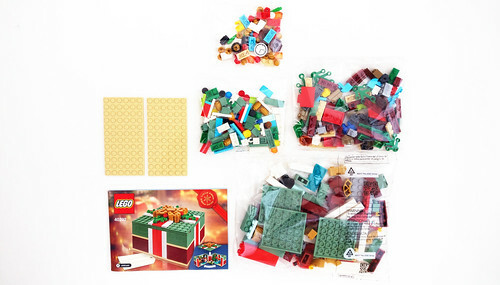 The contents of the box include four unnumbered bags, two tan 6×12 plates, and the instructions. 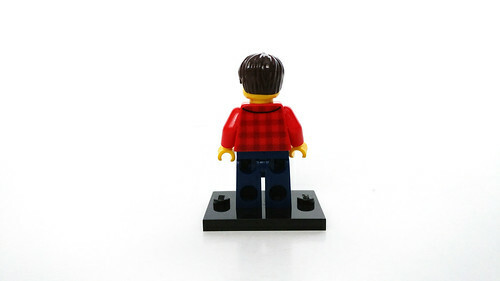 The first minifigure in this set is the man who has on a typical holiday attire with the red plaid shirt and dark blue pants. 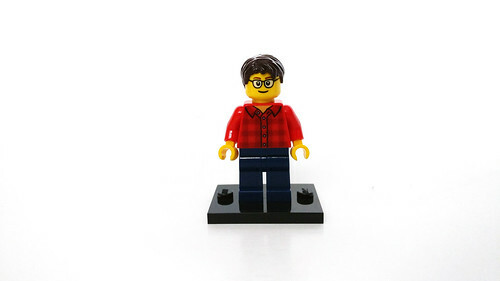 His facial expression shows him with a smile while wearing some glasses. 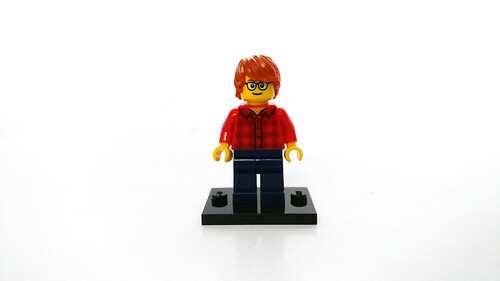 He has two sets of hairpieces that go with him, a short dark brown one and a longer dark orange one. The other minifigure is the girl. She wears a red and white shirt with printing of the blue spaceman/Benny on the front. 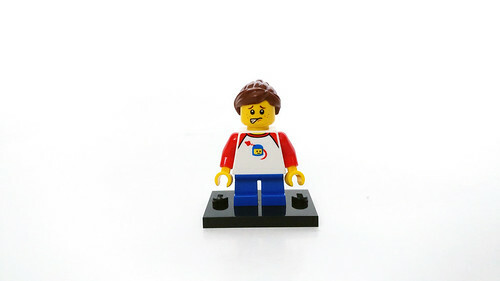 She does have a double-sided head with happy expression on one side and a nervous, lip-biting look on the other. 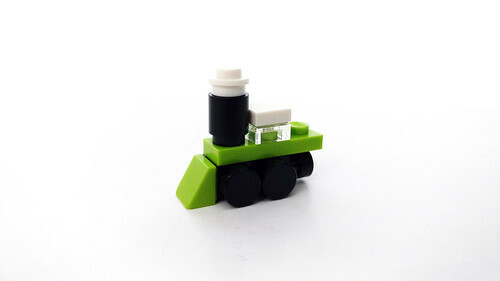 The build starts off with a toy train. It is probably the reason for one of the expressions on the girl’s face. Maybe the train is something that she didn’t expect to get as a Christmas gift. 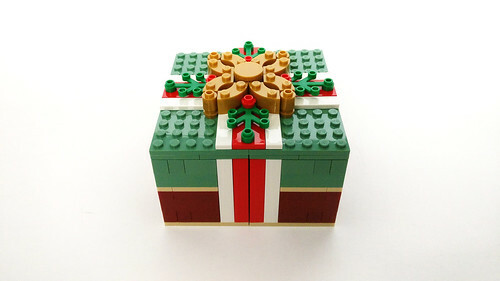 From just looking at the set, it looks like just like a wrapped present complete with a bow on top. 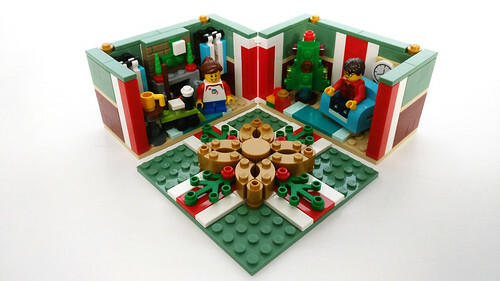 However when you take off the top from the 1×1 round plates, you get a full living room scene on Christmas day. 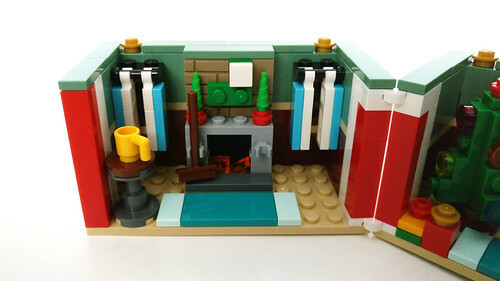 On one side, you have a lit fireplace with some small plants on the mantle and a wreath right above it. The windows have some curtains that are hanging with some clips. The finish off this area, there’s one half of the turquoise rug next to a table. The other side of the room is connected with some hinged plates. 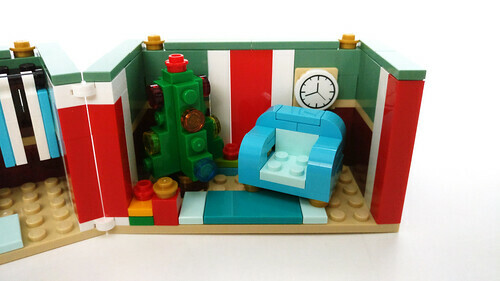 For this side of the room, there’s a light blue armchair and the other half of the rug. There’s also a fairly large Christmas tree with some presents next to it. 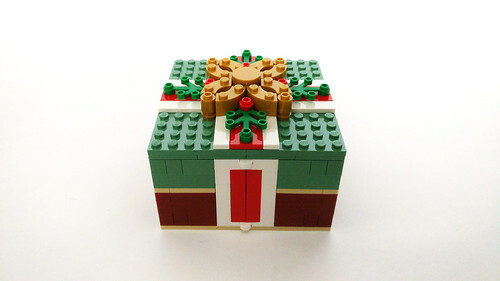 The LEGO Seasonal Christmas Gift Box (40292) is a nice gift to kick off the holiday shopping season. 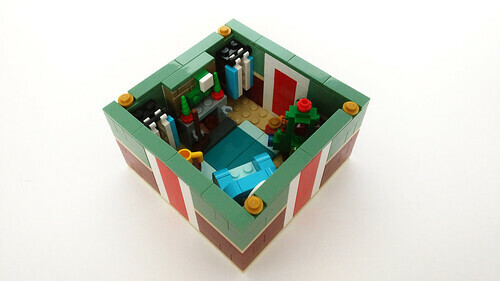 It’s a fun build that packs a lot of details for the scene inside the box. 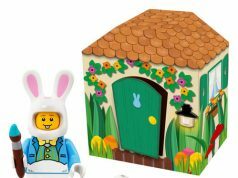 The minifigures are a nice addition because they aren’t needed but do add some zest to the overall build. 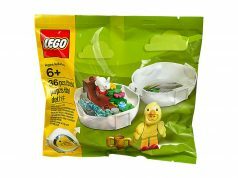 Again, your first chance to get this set is this weekend with purchases of $99 or more if you’re a LEGO VIP member. 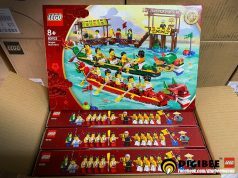 This set will also be available to everyone starting next Friday, November 23. 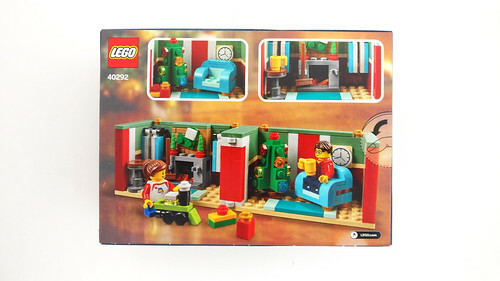 Keep in mind there will be another Christmas gift-with-purchase set in December with the Christmas Carousel (40293) also with purchases of $99 or more so you’ll have to plan out on which one to get if you’re on a budget.